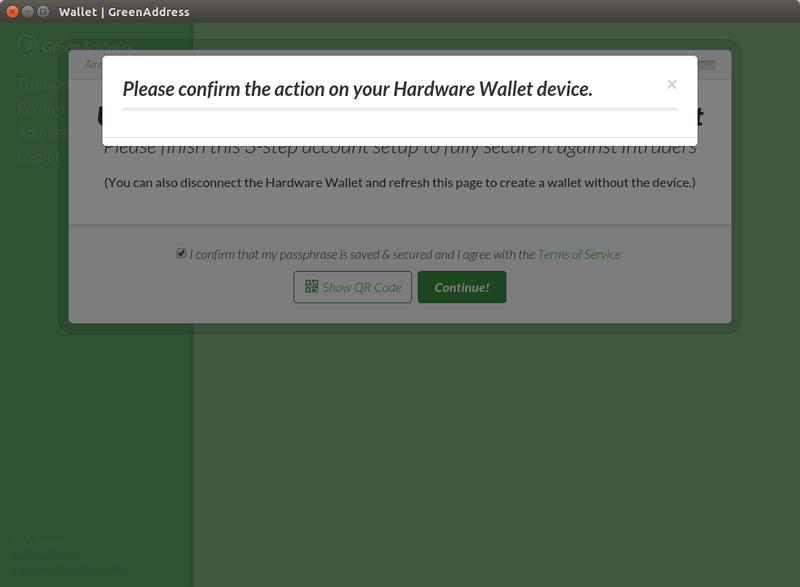 Caution: Initializing your hardware wallet with GreenAddress will wipe any other wallets already there. The first thing to make sure you can initialize your wallet is to ensure that you are able to set up a standard KeepKey wallet, and already have done so. You should be able to open the app and see a balance listed. Once you can confirm this, continue. To initialize your KeepKey with the GreenAddress wallet, you have to do this with the Chrome application. Once you have installed the application start it up and plug in your KeepKey. 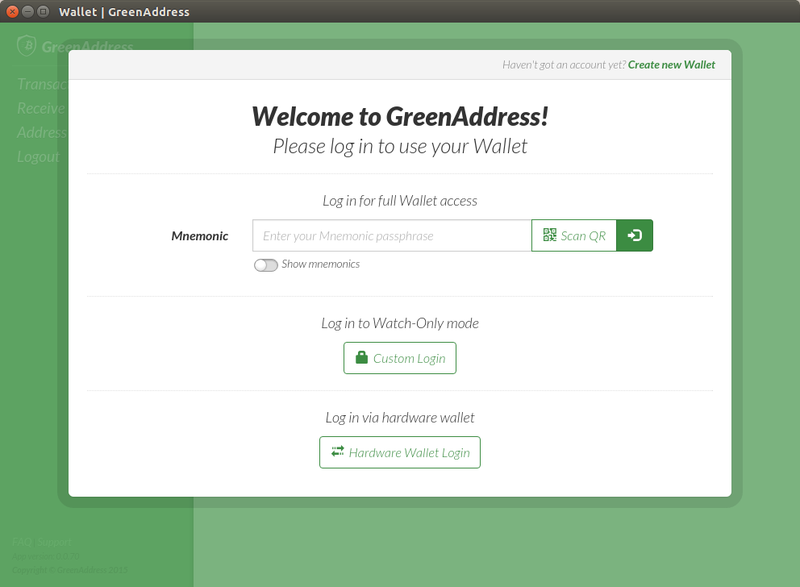 In the screenshot we can see “Log in via hardware wallet”, but this will only work if you are already initialized and registered with GreenAddress services. Instead click on the “Create Wallet” link. If you have not initialized your wallet with the KeepKey software, you will be re-directed to do so. If you have, you will be shown a screen letting you know you are signing up with a hardware wallet. If you click the checkbox, your device’s screen will display who is attempting to use the device as a login measure, and the Chrome app will ask you to confirm that message by long-pressing the button on the KeepKey. Click continue. Next is the standard 2FA setup. 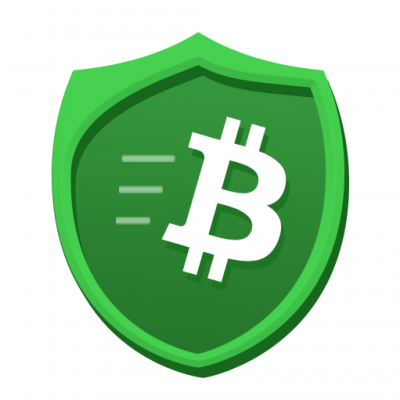 Registering for E-mail notifications for both incoming and outgoing transactions will allow you to recover your funds with the Gentle tool if something goes wrong and is highly recommended. You can add a GreenAddress PIN on top for more security, just like normal GreenAddress services, since your KeepKey PIN is not be using a PIN directly within this service. Logging in again will be done using the standard “Log in via hardware wallet” button. Congratulations! 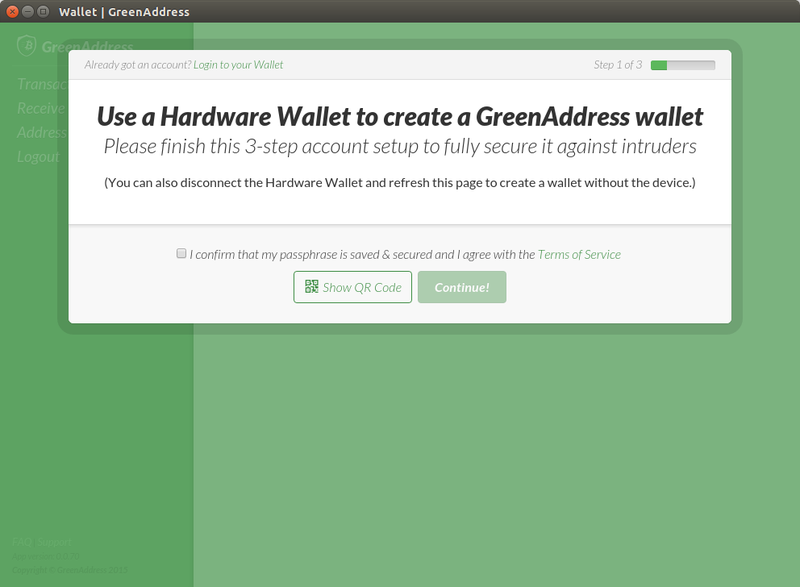 Now you are a hardware wallet muti-sig user and can take advantage of the full power of GreenAddress services!